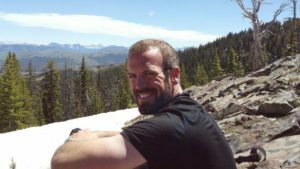 The struggle to maintain federal protection for the Yellowstone grizzly bear is at the forefront of the day’s news, with lines being drawn between biologists and politicians, conservationists and trophy hunters. 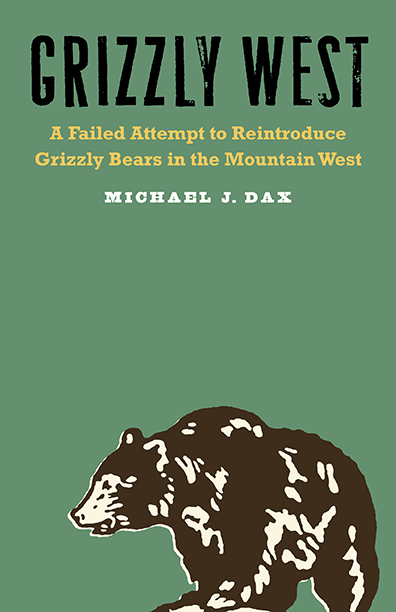 In the midst of this issue, author and environmentalist Michael J. Dax will visit Livingston’s Elk River Books on Tuesday, June 14, for a reading and discussion of his book, Grizzly West: A Failed Attempt to Reintroduce Grizzly Bears in the Mountain West. 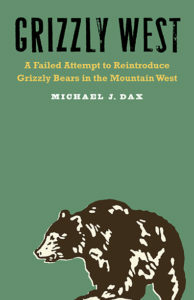 In Grizzly West, Dax explores the political, cultural, and social forces at work that gave rise to an innovative plan to reintroduce grizzlies to the Selway-Bitterroot Wilderness of Idaho and Montana, but also contributed to the plan’s downfall. 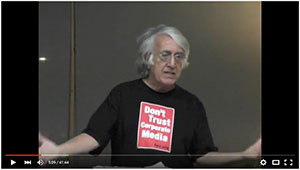 Rather than blaming simple partisan politics, Dax reveals how the American West’s changing culture and economy during the second half of the 20th century dramatically affected this project. He examines the growth of the New West’s political potency, while at the same time revealing the ways in which the Old West still holds a significant grip over the region’s politics. Grizzly West explores the great divide between the Old and the New West, one that has lasting consequences for the modern West and for our country’s relationship with its wildlife. Dax’s reading will take place at 7 p.m., upstairs at Elk River Books, 120 N. Main St. and will be followed by a book signing and reception. Elk River Books specializes in collectible outdoor, regional and Western history books, and provides a lively venue for southwest Montana’s unique literary community. For more information, call 333-2330.